All-inclusive family ski holidays are the ideal choice for the busy family who want a fantastic holiday where they can take advantage of the best of the slopes, while having plenty of time to relax, unwind and enjoy the home comforts of their own chalet whilst away. Ski Famille offers a range of all-inclusive ski holiday packages to suit you and your family’s needs. Not only do we have resorts in some of the best ski resorts in the French Alps, but our dedicated team will also go the extra mile to ensure you have everything you need to make your family ski holiday a wonderful and hassle free experience. We’ve tried to provide as much guidance as we can on our website, but there is no substitute to picking up the phone and talking through your needs with one of our friendly team members. For us all-inclusive really does mean all and inclusive, and families who book with us can enjoy our a la carte in-chalet childcare service, which is available 6 days a week. This pretty resort offers excellent skiing opportunities regardless of ability. With a relaxed ambience and plenty of quality restaurants and bars, La Plagne is a ski report with something for everyone. 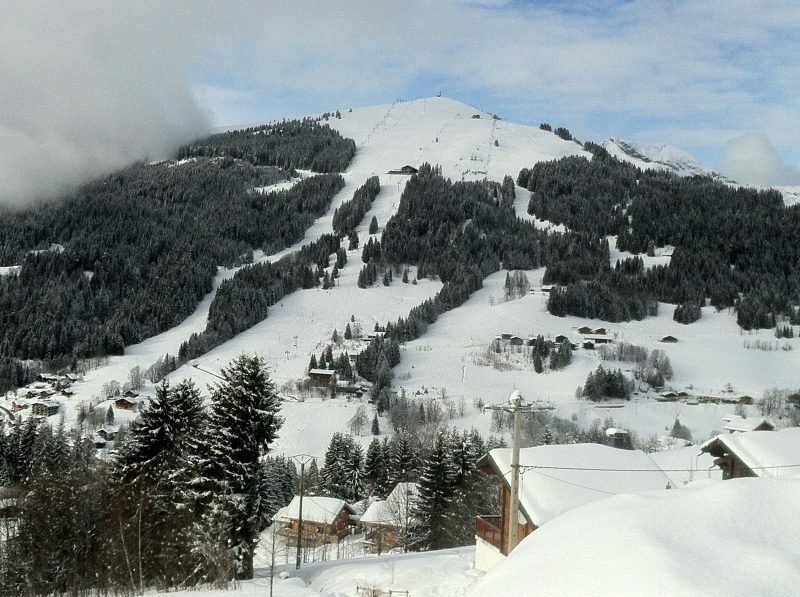 Les Gets combines charming scenery with fantastic skiing. There is plenty to see and do here and the perfect place if you want to brush up on your skiing, as the ski schools are excellent. Reberty offers incredible skiing with guests being able to enjoy the slopes of the renowned ‘3 valleys.’ Keen skiers will love how easy it is to get onto the pistes from your chalet, and there are plenty of family friendly activities on offer too. Bruyeres is another fabulous 3 Valleys location. All of the chalets in this great location are in our Premier Select Plus range and include facilities such as deck hot tubs and private cinema. 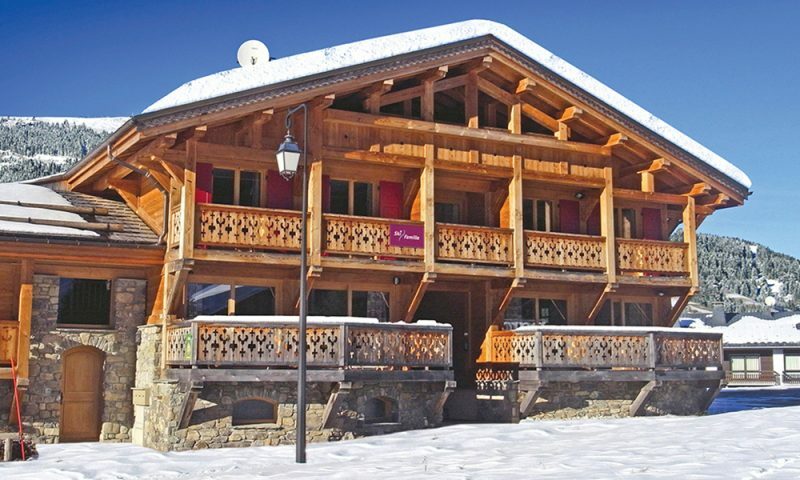 These properties are the perfect base for your inclusive family skiing holiday. Our experienced and friendly team can take care of all your childcare needs so you can simply get out there and enjoy the slopes without having to book and arrange childcare. Our ski chalets are not only located in truly beautiful places but also have been carefully chosen to ensure families will feel comfortable and relaxed while staying in them. We offer breakfast, afternoon tea and an evening meal with aperitif, canapés, three courses and coffee together with wines. We’ve also carefully designed a children’s menus which we know they’ll love. Our food is prepared each day and we pride ourselves on its taste and freshness. All mod cons such as Free Wi-Fi, DVD player and Bluetooth Soundbars are also included, as well as luxury toiletries and towels. The chalets are perfect for children with excellent facilities such as dedicated playrooms, toys, books and a selection of suitable DVD’s. We have fantastic deals with special family offers, free child places available on many dates, and we also offer Saturday Geneva flights- inclusive of price. Why book an all-inclusive skiing holiday? There are a great many advantages to booking an all-inclusive holiday, particularly if you are planning your trip with a young family in tow. All-inclusive holidays mean that the logistics of getting from A to B are taken care of so your journey is straightforward and much smoother. There is one price, which covers everything and you don’t need to worry about hidden or unexpected costs – this makes budgeting for your holiday trouble-free as you know exactly how much you are going to spend. Our family ski chalets are havens of comfort and style which you and your whole family will enjoy. We pride ourselves in offering high quality accommodation in locations that make it easy for you to get out and enjoy the slopes. 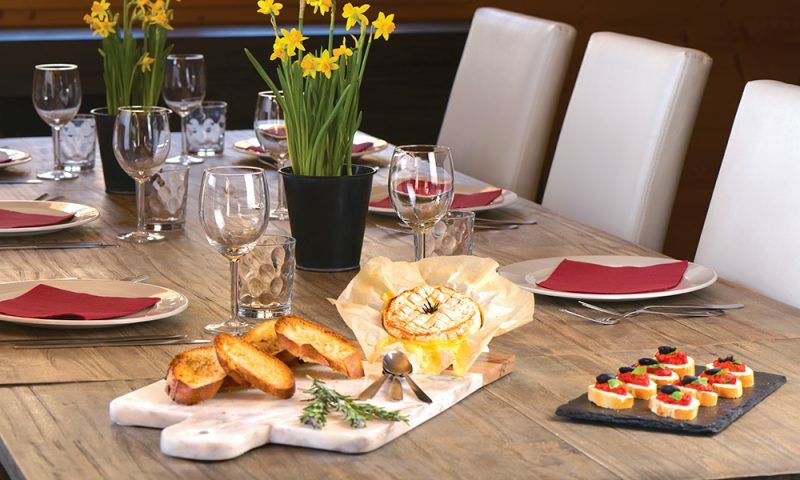 With all the comforts of home as well as added luxurious touches, our ski chalets provide everything you need to relax and unwind at the end of a long days skiing. We have different chalet types on offer, varying in size, location and additional extras, to suit all families and budgets. If you are looking for something extra special why not book one of our Premier Select chalets? Our Premier Select chalets come with either a hot tub, steam room or sauna, as well as fantastic added comforts such as heated ski boot warmers! All-inclusive ski holidays allow families to spend quality time together without having to think about booking transfers, ski lessons, hiring equipment, childcare, etc. – we take care of everything so you don’t have to. 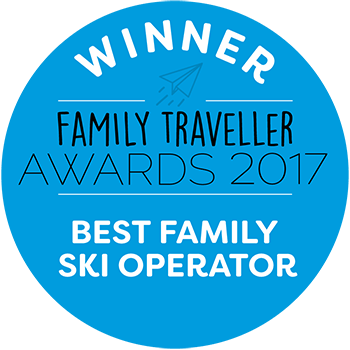 For more information or to book your family ski holiday with Ski Famille please call us on 01252 756 260, send us an enquiry via our contact form or request a call back.